The Factor4 Weight Loss Program™ allows you to achieve lasting weight control without intense exercise routines or strict dietary regimens. 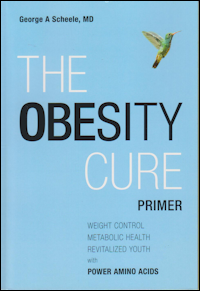 The Plan is unique in that it uses Power Amino Acids® to treat the four nutritional traps associated with overweight conditions and obesity: (i) The Taste trap, (ii) The Vanity Trap, (iii) The Food Swing Trap and (iv) The Sedentary Trap. The Factor4 Weight Loss Program™ will restore your nutritional health and switch fat-storing pathways to fat-burning pathways. Power amino acids® increase your “anabolic” potential by restoring “constructive” or anabolic metabolism. Power amino acids® decrease your “catabolic” potential by eliminating “destructive” or catabolic metabolism. A lifetime commitment to Factor4™ will maintain your body in the Factor4 zone, providing power nutrition and super-charged health. Thanks to Factor4™ you will regain youth again and live longer and healthier with super-charged health and increased quality of life. 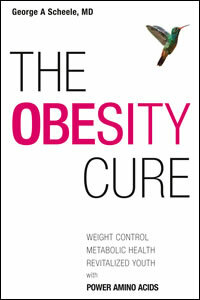 Finally, a Weight Loss Solution that Restores Body Health! The Only Weight Loss Solution that Makes You Feel Better Every Day! 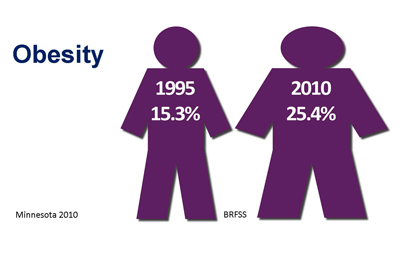 96% of individuals lose weight on Factor4 Weight Control®. 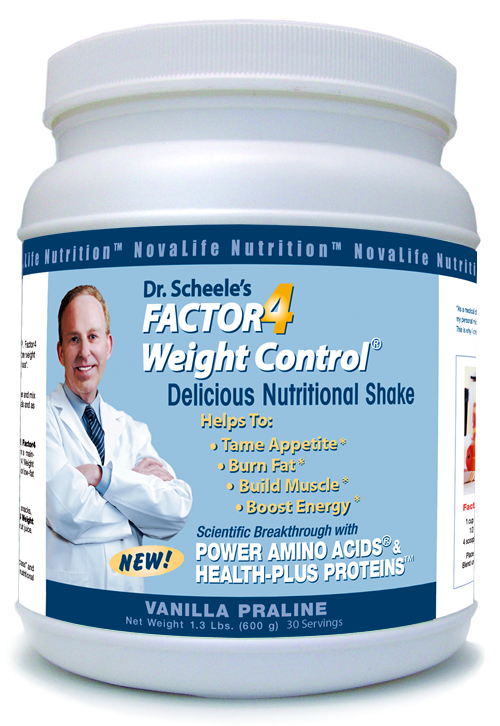 Factor4 works as a highly effective appetite suppressant that provides feelings of “comfort, satisfaction and well-being” within minutes of taking a shake. 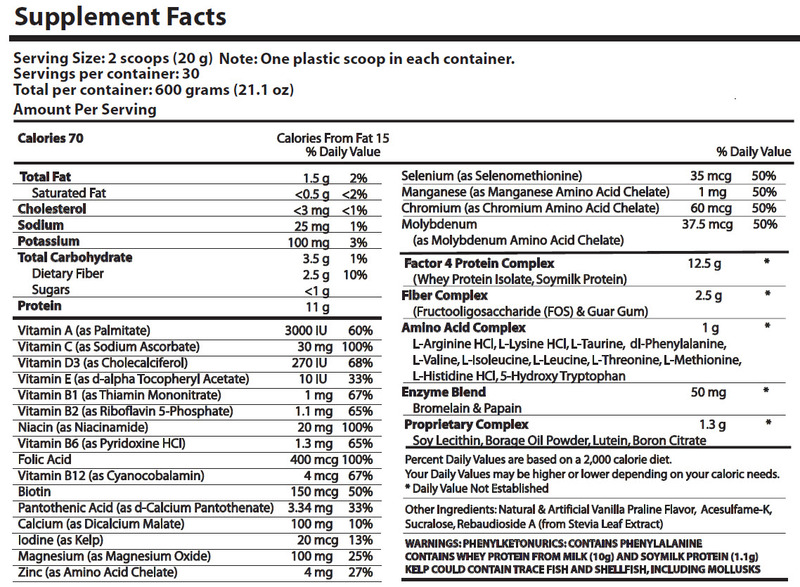 Factor4™ also stimulates fat metabolism and increases body pep, energy, and activity. 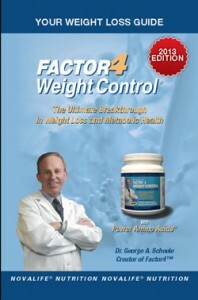 Factor4 Weight Control® power shakes and smoothies are the secret to the success of the Factor4 weight Loss Program. Factor4™ smoothies, made with blackberries, blueberries, strawberries or cranberries should be taken in lieu of AM or PM snacks and desserts. Take Factor4™ power shakes at night to avoid night-time eating binges. An 8 oz power shake (70 Calories) or 16 oz double power shake (140 Calories) will stimulate fat metabolism while blocking food cravings, hunger pangs, famished states and eating binges. When taken before meals, as instructed, including one or two meal replacements a day, you may lose up to 1 pound every 2 days. Humans require 20 amino acids to build proteins in the body. However, humans can only produce 11 of these amino acids. They cannot produce the other 9 amino acids. Thus it is necessary for humans to obtain the other 9 amino acids from the food chain. These 9 amino acids are called “essential amino acids” because it is essential that they are obtained from dietary sources, which we refer to as the diet. However, other higher food sources, including cows, chickens and fish, also cannot produce these 9 essential amino acids. The purpose of the food-chain is to move amino acids and other essential nutrients from plants and bacteria, which make all 20 amino acids, up to higher animals, including vertebrates, mammals and man. Thus the food-chain is vulnerable or deficient in moving the 9 essential amino acids to higher animals. We call this the food-chain gap. When food is plentiful, the food-chain gap is closed and higher animals achieve optimal health. However, when dietary deficiencies occur due to poor eating habits or the process of aging, the deficiency that occurs in essential amino acids results in a further deficiency in positive-charged proteins that leads to an imbalance in metabolic pathways. 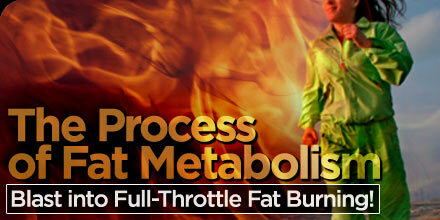 This imbalance in metabolic pathways upsets the processes that store and burn body fat. Fortunately, Factor4 Weight Control®, containing power amino acids®, has the capacity to close the food-chain gap and correct the deficiencies in amino acids, positive-charged proteins and metabolic pathways. Once these deficiencies are corrected, the balance in metabolic pathways stimulates loss of body fat and leads to sustained weight control. #1 Shake for Weight Loss & Anti-Aging Health!